Multimedia software Flash will be disabled by default in Firefox 69, which is due for release on 3 September 2019, and Mozilla will remove support for the plugin from commercial versions of the browser completely early next year. 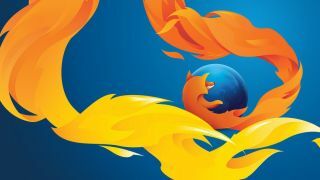 As Neowin reports, a recent bug report has revealed that the process will begin with the Firefox nightly build, followed by the stable release. The extended support release (ESR) will continue to support Flash until the end of the year for businesses that rely on it. Flash has been making websites interactive since 1996, but has been a popular target for criminals looking to exploit vulnerabilities. It has now been superseded by technologies including HTML5, WebGL and WebAssembly, which don't require separate browser plugins. Adobe began advising content creators to move away from Flash in 2015, and will end support for the plugin in 2020. "Today, open standards like HTML5 have matured and provide many of the capabilities that Flash ushered in," said Adobe in a statement. "Looking ahead, we encourage content creators to build with new web standards and will continue to focus on providing the best tools and services for designers and developers."